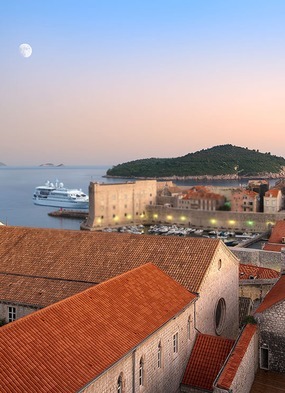 Is it time to ban cruise ships from Venice and Dubrovnik? 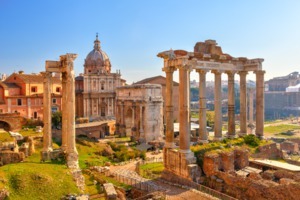 By the time you are reading this, we will have travelled to both Venice and Dubrovnik, not our first visit (and I very much hope not the last), so I will be in an excellent position to tell you how guilty and remorseful I feel. 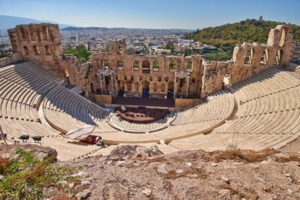 Will I be reporting back cheerily on what a wonderful time we had, or will I be slinking into the office, face hidden by an upturned collar and dark glasses, full of shame that I have earned the righteous ire of both cities, and UNESCO? I mention UNESCO not because I like dropping names (I hate it, and I said as much to Jeremy Paxman when I met him the other week), but rather because they have been in the news of late, along with Venice and Dubrovnik, and all for the same reason: it would seem that none of them like cruise ships. 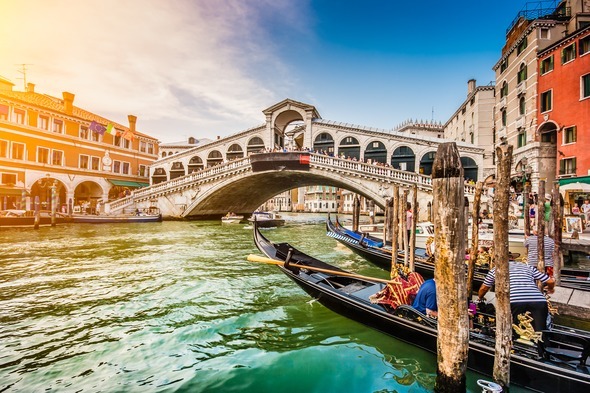 Venice, as you may know, has long struggled with the Faustian pact they made when they located the cruise terminal so that it had to be accessed via the Grand Canal. 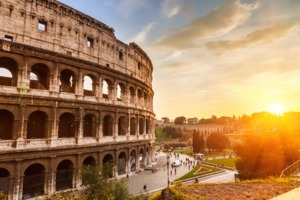 And certainly if you are onboard, then that unhurried journey to the dock, edging past the Doge's Palace and St. Mark's Square, can be a truly wonderful experience. That said, the appeal, if you are land-side and watching this peregrination, depends entirely which ship you are watching. 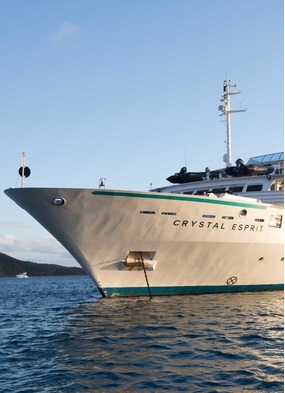 If it's a modestly proportioned SeaDream, say, or a Crystal Esprit, then that sort of works. But if it's one of these monstrous new cruise ships, all 18 plus decks, seriously towering above the spires of Venice, it really does looks like nothing less than a monstrous tower block is slowly on the move. It can, in summary, excessively detract from the serenity of La Serenissima, and my sympathies in this area lie entirely with the Venetians. But the Venetians, who you might have hoped had inherited the critical artistic eyes of a Canaletto, are actually and sadly not objecting to these mega-ships on aesthetic grounds. Their problems are mainly with the enormous numbers of day-trippers that the cruise ships bring, people who (in the words of the protest organiser) "just want to take a selfie in St Mark's Square, before they go back to their ships", bringing no lasting economic benefit, and much chaos, to the city. A diversion. 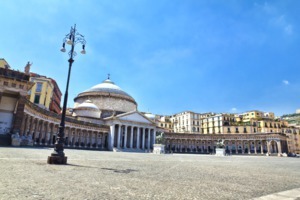 I confess that I have nothing but sympathy with him here: I personally would make the taking of narcissistic selfies an illegal activity, and require that the miscreant is ritually stripped of their phone in some Dreyfusian public ceremony in St Mark's Square, before having the offending selfie stick broken across the knee and cast away. 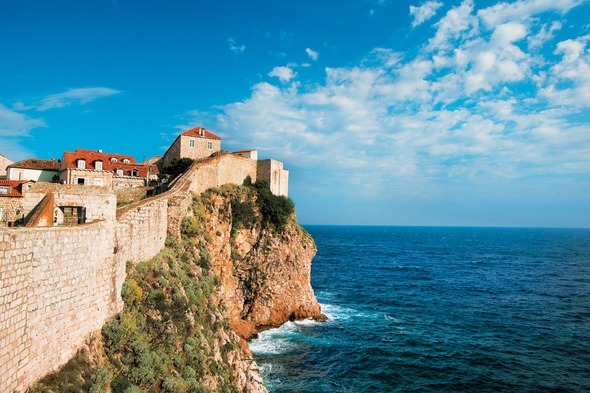 And (to get us back on track) one hears much the same complaints emanating from Dubrovnik as well, where last year over 500 cruise ships called in, disgorging well over three quarters of a million passengers. There, the protests' leader bemoaned the parsimony of cruise ship passengers, complaining that "they have only about three hours, after docking and disembarkation - 16 hours should be the minimum". It's hard not to be sympathetic, although the notion of a fixed and enforced time ashore before you are allowed to embark your ship again is perhaps a bit bizarre. But this year the authorities embraced a solution which seems equally odd, although time will doubtless tell. Cameras are mounted at all entrances to the Old City, and they are designed to count, and restrict, the number of people passing through. If visitor numbers are at 6,000 or lower, no action is taken, but if the number exceeds 6,000 then the crowds will be slowed down through longer waiting times at the gates. And should those numbers exceed 8,000 then nobody will be allowed in until some people leave, with the effect that gaining entrance to Dubrovnik will become rather like queuing for a space in a busy NCP car park; waiting for another car to leave before you are allowed to take your ticket. A tad irritating if you had planned for the walls of Dubrovnik to be the high point of your holiday, but one can understand where they are coming from, yes? Cruise line passengers are an imposition, yes? Well, no, not really; both cities would seem to be trying to have it both ways. 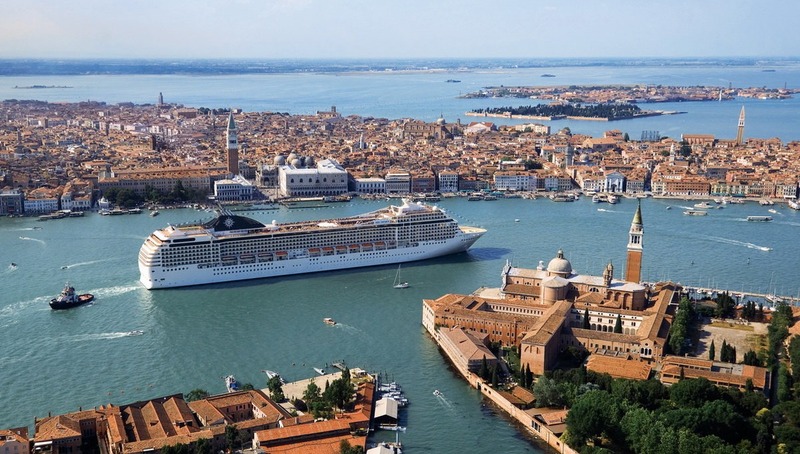 I can, for instance, sympathise with Venetians on an individual level, but they must look to their own rulers if they want to apportion blame rather than to the cruise ships, not least because (and this fact surprised me) cruise passengers constitute under 10% of the tourists that descend on Venice every year, and data shows they spend more there than the average visitor. 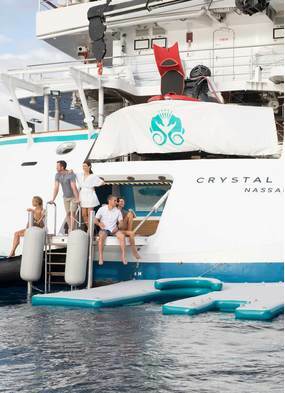 The problem for The Floating City would seem to lie with tourism, not just with cruising. 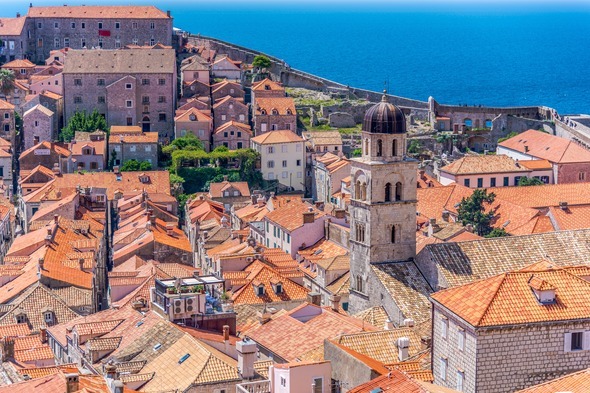 Likewise, Dubrovnik is spending a fortune advertising itself all over the world as a centre for tourism, especially focussing on its fame as possessing the main location settings for "Game of Thrones". 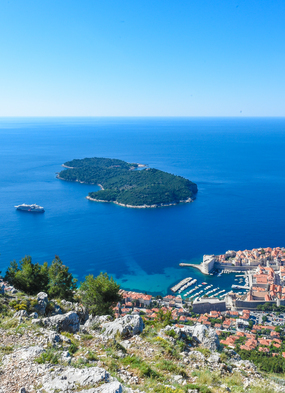 Indeed, tourism accounts for some 20% of Croatian GDP, and the Dubrovnik Port Authority are now announcing some serious shopping mall development near the port so that more people can be enticed from ships to shops. All of which makes me think that perhaps that sound you can hear, above the ringing of Croatian cash registers, is the serious munching of someone having his cake and eating it.